The Headwaters Club luxury Condos were built in 2013 by TreeGroup at the corner of 31st Street and Croydon Drive. This area is very convenient to the Shops at Morgan Creek and the Grandview shopping areas. It is also close to Morgan Creek medical clinic. The complex backs onto green space and a creek, so many units have a tranquil view. 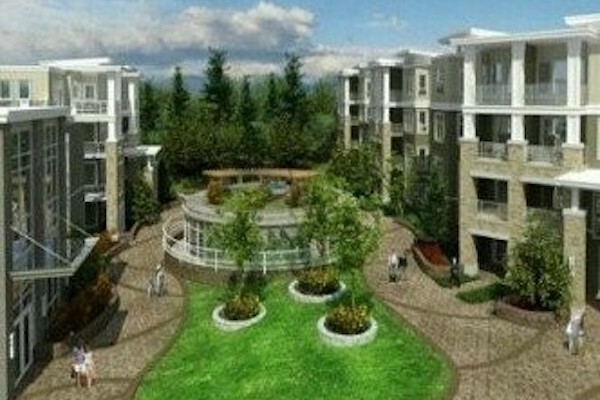 There are 148 condos ranging in size from 651 to 1,434 square feet and have floor plans of one, two or three bedrooms. Some of the units have bonus space that can be used for storage, a home office, or entertainment room. The luxurious finishings include 9 foot ceiling, engineered wood floors, bamboo cabinetry, insuite laundry and high end energy efficient applicance. The Headwaters Club has a unique feature to enhance the living experience of its owners. Centrally located in the complex is a Lifestyle Centre in a separate building with a concierge service and two floors of amenties including: atrium, relating fireside lounge, gourmet kitchen for private gatherings, big screen TV, computer with internet access. The strata has used the Lifestyle Centre to create a wonderul opportunity to enhance the community. Residents can sign up in winte tastings, cooking classes, personal training, special events, wellness workships and many other opportunites to meet your neighbours. Headwaters Club condos in South Surrey are a unqiue opportunity to live in a community that provides so many additional amenities over other condos.